During the 1970s and 1980s, in the midst of a wave of military dictatorships and while armed conflicts between guerrilla groups and paramilitary forces were paving their way into Latin America’s tumultuous political history, numerous processes of remembering and forgetting started to sprout throughout the region. These early civil society initiatives, later institutionalized within the State’s executive, legislative and judicial branches, played a central role in thematizing the experiences of violence and terror. By responding to the urgent need of gathering evidence concerning human rights violations, they came to complement, even replace State functions in times of authoritarian rule, and shed light on the possibility of peace. The resistance of the Latin American society—whose allure has been broadly documented and consisted in all sorts of institutional and extra-institutional actions aimed at accountability and justice— left a mark on the public sphere that continues to shape today’s political debate and the role of civil society during times of State repression and terrorism. The mobilizations occurred under hoarse circumstances and blatant impunity, and were triggered by numerous members of the civil society, including journalists, activists, students, artists, associations of victims and their families, together with NGOs, religious leaders, and international institutions. They did so with the purpose of denouncing, both nationally and internationally, the abuses and crimes committed by those wielding absolute power in their home countries. By demanding the acknowledgment and active protection of human rights, these groups promoted the understanding of complicated, often unspeakable realities; gathered the testimonies of survivors—generating and preserving social memory—; and years later, became the cornerstone for transitional institutions—allowing for their formation and institutionalization. During this period, circa 30,000 citizens were subject to torture, forced into exile or disappearance, anonymously executed or constrained to see the abduction of their children. The transition towards the so-called third wave democracies presented the opportunity to radically change the role of organized citizen participation. As the foundations of memory museums were built, more and more democratic innovations that aimed at the creation of institutional settings with the goal of documenting the past and preserving social memory started to come into existence. Truth commissions are the first and most widespread model of collaboration between State and civil society aimed at fact finding, documenting and in some cases even participating in judicial procedures. The first attempt of establishing a truth commission occurred in Bolivia, with the National Commission for the Investigation of Forced Disappearances, but perhaps it is safe to say that the most iconic case is Argentina’s CONADEP, which began to unfold one year later, in 1983. Argentina’s National Commission on the Disappearance of Persons was established directly after the doddering end of a military rule and the country’s “Dirty War.” During this period, circa 30,000 citizens were subject to torture, forced into exile or disappearance, anonymously executed or constrained to see the abduction of their children as part of the governments’ anti-insurgency policies and repression of dissent. At the time, practices that eliminated political freedoms and blatantly ignored human rights were shared in many countries throughout the region; yet, so were society’s courageous and determined claims for justice. The struggle for democracy and desire for radical political changes ultimately led to the implementation of other fact-finding institutions in countries such as Chile, Guatemala, Peru, Brazil, and Colombia. The so-called “memory boom” took place, however, in a rather uneven and interrupted form. It responded not only to the context-bound political and historical developments in each State; but also to the strength of civil society organizations, the scope of their demands, and the changing institutional settings that echoed them. The narratives created by these initiatives —especially those by Truth Commissions—were, at the same time, severely contentious among different sectors of the Latin American society; unreconciled truths impacted not only the generations of the Cold War but found a way through time and reached today’s post-conflict politics of memory. The so-called “memory boom” took place, however, in a rather uneven and interrupted form. Today, despite the consequences prompted by prevailingly polarized societies, and as the role of organized citizen participation continued to grow and evolve, the landscape of remembrance started to slowly transform itself, in particular through multimedia storytelling. New collaborative spaces assumed the role of dwelling upon not only the unresolved ghosts of the region’s past but also today's staggering numbers of deaths, disappearances and State violence; reclaiming memory, truth, and justice through political experimentation. The Quipu Project, for instance—named after Inca’s string system for record-keeping —, is a collective-memory transmedia project developed by a team of researchers, human rights defenders, and film producers, together with civil society organizations and different NGOs in Peru. The objective of this innovation is to give voice and seek justice for the women and men who were victims of a sterilization campaign carried out during the government of Alberto Fujimori; in which thousands, mainly indigenous peoples residing in rural areas of the country, were sterilized without their prior consent. The particularity of this participatory space is that, besides having an online platform, it is also carried out throughout different technologies, such as a toll-free telephone line and local radios. These technologies allow the project to denounce the human rights violations perpetrated in far-flung areas of the country by enabling people who do not have access to the Internet to share and listen to testimonies of struggle and resilience. 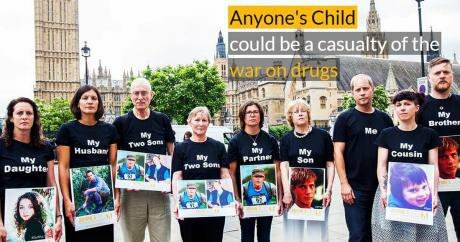 In the same line of thought, the Anyone’s Child Project collects the voices of the families who have been torn apart because of the war on drugs in Mexico, with the purpose of advocating for drugs legislation and regulation. This initiative allows the relatives of the victims to anonymously share their testimonies through a toll-free line, and listen to the stories of the men and women who have lost their lives or disappeared because of the war’s crossfires. Anyone’s Child Project collects the voices of the families who have been torn apart because of the war on drugs in Mexico, with the purpose of advocating for drugs legislation and regulation. These two innovations might address crimes committed during different moments in time, yet at the core of both projects, history acknowledges a very well-defined purpose that goes beyond timeframes. By involving citizens directly in advocating and denouncing the crimes committed, these initiatives allow survivors, their relatives and political activists to understand past and present abuses not as a given realities to be passively accepted, but as the reflection of failing policies and abusive governments. The possibility to voice a vast number of silenced stories and historically-marginalized sectors of the society could shed light and help both policy-makers and politicians understand and address history’s strong relationship with today’s challenges, like increasing accountability and strengthening the rule of law. Rethinking forms of e-participation and citizen representation in collective remembrance initiatives has been done in Latin America from the local to the national level. In Mexico, for instance, initiatives seeking to discover the real number of missing persons have been created regionally and nationally. The Citizen Registry of the Disappeared in Coahuila, for example, is an online space developed by the civil society organization “Fuerzas Unidas por Nuestros Desaparecidos” (lit. united forces for our disappeared) with the aim of creating a database of missing persons who haven’t acquired the "official" status of desaparecido. At the national level, the initiative Citizen Forensic Science set up an online database generated with the information provided by the relatives of victims of forced disappearances. The project offers family members the possibility of contributing to the construction of a DNA bank: the National Citizen Biobank of Relatives of Missing Persons. A similar successful experience of DNA identification occurred in Argentina in 1987, thanks to the active engagement of Argentina´s Abuelas de Plaza de Mayo in the drafting of the law. The National Genetic Data Bank collects the DNA from all surviving relatives of the disappeared and matches it with the potential victims of kidnapping during the dictatorship. This tool has proven to be essential during judicial procedures against former perpetrators. Moreover, any person who fears having been abducted as a child can contrast his DNA with those in the archives, in the hope of matching their identity with that of their missing parents and reunite with their grandparents. Rethinking forms of e-participation and citizen representation in collective remembrance initiatives has been done in Latin America from the local to the national level. Another interesting initiative conceived in Mexico is Memory and Truth, a platform and virtual space created to disseminate and promote the use of existing public information on cases of alleged violations of human rights and crimes against humanity. The purpose of this initiative is to promote transparency, the right of access to information, the guarantee of non-repetition, while at the same time remembering the victims of state negligence and widespread violence. Many of these collaborative spaces are part of a new wave defying representative politics in the region; from the desert of Chihuahua to far south Patagonia, more than 2,400 political innovations have been implemented with the aim to enforce democracy through citizen participation. They can be consulted at latinno.net, a project making participatory political experimentation measurable and comparable. The failures and victories of collective remembrance projects urgently need to be assessed and should not be separated from today’s Latin American politics. For collective remembrance to go beyond storytelling and momentary indignation, history needs to continue embracing its purpose and become a tool for the participatory creation of public policies in which citizens are involved in the ideation, creation and dissemination of memory.